As intrigued and obsessed [confession] I am with this Dynamic language, my foray into Functional programming via JS has definitely wired quite a bit of neuron networks which seem to mutate (should I say grow) as days progress. This interpretation of Currying in JS is one byproduct of such mutation. In mathematics and computer science, currying is the technique of translating the evaluation of a function that takes multiple arguments (or a tuple of arguments) into evaluating a sequence of functions, each with a single argument (partial application). It was introduced by Moses Schönfinkel and later developed by Haskell Curry. And most surprising was that I found this approach resonate well with a paper (“Making a Fast Curry: Push/Enter vs Eval/Apply for higher-order languages” by none other than the great Simon Peyton Jones and Simon Marlow) published by Microsoft Research on March 17, 2004. I stumbled upon this actually quite recently which prompted me to let this piece of code thaw that was lying in cold a.k.a code storage for the past one year. Hey! I now have a way to formally or rather [computer] scientifically explain my code. Anyone who likes to fiddle around and see if they can push the bars on the ‘Eval-Apply’ implementation are free to do that at my Github Repo. If you end up in this situation (using a variable implicitly without declaration) in a global scope, this doesn’t have an impact (though not recommended) and I presume this is the situation this colleague of mine is in and hence didn’t notice any side effects whereas if you have a variable implicitly declared inside a function – that is, if it appears on the left side of an assignment expression but has not been declared with var – it is created as a global variable. This is because, in the process of looking up the variable in the scope chain, if the variable is not found all the way till the global scope, it is created at this point in global scope. increment1(1);//What result do you expect here? You can see that in place of 2, you would be getting the result as 4 (for reasons already explained above). Now this is definitely something you wouldn’t want and you end up cursing the language for its unpredictability in addition to all the “undefined” errors it has to put up with (little knowing that it’s actually you who went rogue by not following some best practices and let some bad parts in the language get the best of its good parts). The “use strict” Directive (starting ECMAScript version 5). As part of creating a JS library for relational data manipulation, I went on to create this library called YieldJS for creating Iterators, Generators and Continuation methods for Arrays. Continuation Passing Style (CPS) is utilized for chaining continuation methods along-side iterators and generators. I had unveiled YieldJS partially as part of my presentation (JS: Good Parts In Action) for HTML5 developer conference. I wanted to add Generators to the library and hence waited till now to publish it officially. 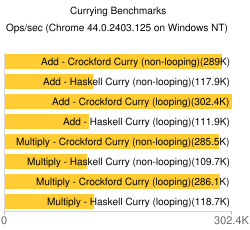 I plan to add my share of benchmarks with more usage scenario documentation. A dig at one of those code puzzlers from dzone. Thanks to Abhi (a buddy) for sharing it with me and instilling the urge for this adventure. I have utilized a subset generation algorithm (highlighted in code) from my mentor and friend (Pai) here. The decomposition technique utilized here (that of finding all the denomination sets first and then searching for the combinations that would yield the amount) doesn’t hold good against this classic NP-Hard problem where despite parallelization, you cannot cheat death owing to stack overflow for the larger sets, lower denominations and higher amounts. train – use this function to provide the text for the training model. correct – use this function to provide the words (or a list) for corrections. Please read the article (link provided above) for all the details. Additional information (especially training text information) could be found here . I have also documented the code for readability. I have also hosted the source code (free for use) and sample test code. Please provide the training text as a string in the sample test code for trying JSpell. Happy New Year! I typically spend lot of time mashing up my experiences to put together a blog, but the pace at which I work doesn’t give me the luxury to put together and convey something the way I want to. So, just a change in strategy, it’s just going to be a travelogue (to the extent it would just be a snap-shot/crumb-trail of my browser history). It’s really amazing how this language has evolved.